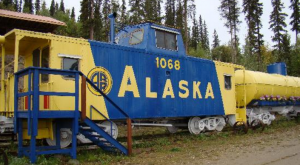 Alaska has a long and esteemed relationship with our railroad. As the Alaska Railroad has well over 500 miles of railroad track, it would be hard not to have seen and admired these railcars chugging by. 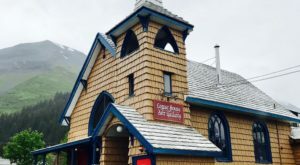 Alaskans also have the fabulous distinction of being some of the most caffeinated people in America, with at least one coffee shop for every 2,000 people. Enter the folks at Whistle Hill in Soldotna, Alaska. They love their trains. They also love their coffee. 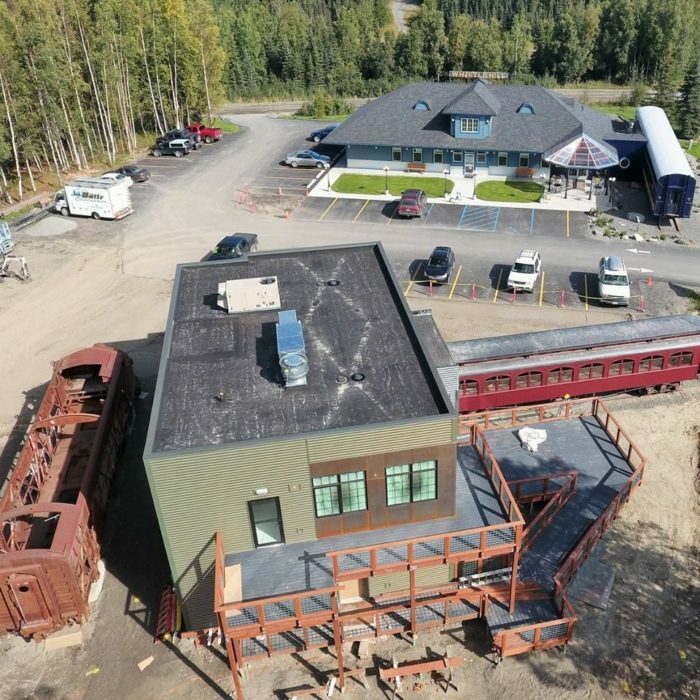 So, as they say on their website: “Steam locomotive, meet steam from an espresso machine!” A train-themed restaurant in Alaska is definitely a match made in heaven. Whistle Hill started with a train car. 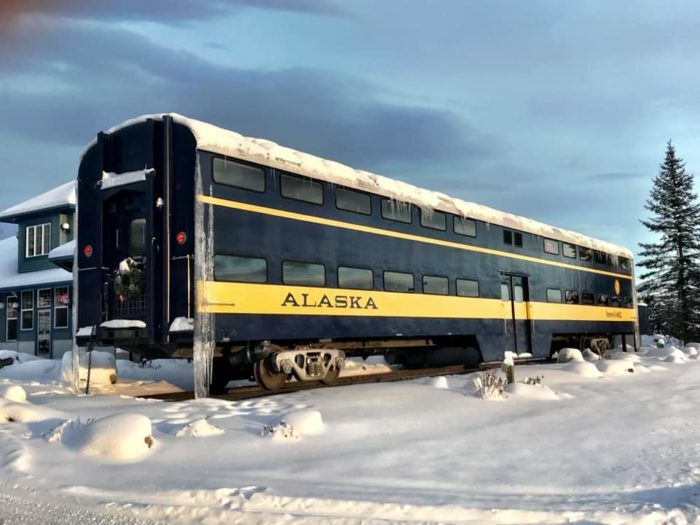 A beautiful, 1950s retired bi-level Alaskan passenger train car. The owner of this fabulous rail car also had a passion for coffee. 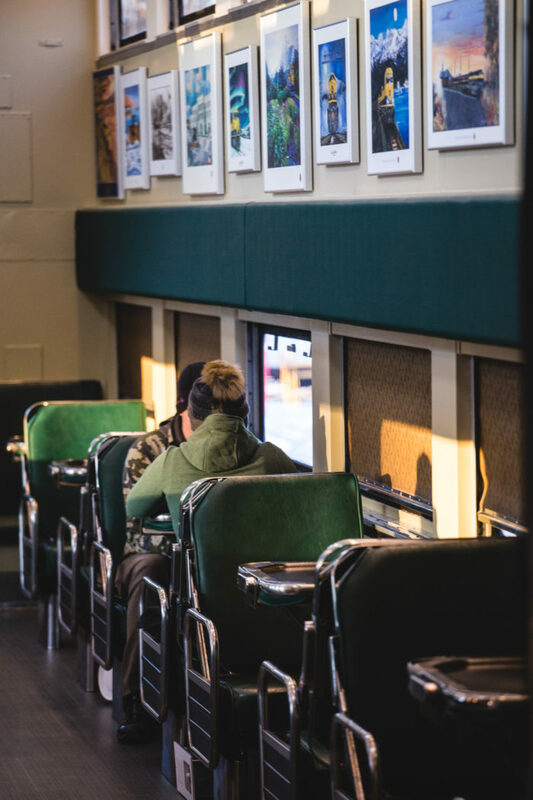 She was so committed to her love of trains, she chose a local Alaskan coffee company, SteamDot, as they got their start in the historic railroads of Anchorage, Alaska. SteamDot seemed like the perfect fit! The name of this coffee shop is [email protected] Not only do they prepare this delicious coffee in a train car, there are two awesome renovated levels of seating to enjoy it in. The car is filled with its original antique seating, with new fixed tables for people to sit at and enjoy their lattes. All of the artwork on the lower level are pieces honoring the Alaska Railroad. Every year the Alaska Railroad commissions an artist to create a print for that year, and this car is filled with some of the best artwork from the previous years. The renovations are spectacular, keeping the small space open and filled with lots of natural daylight. 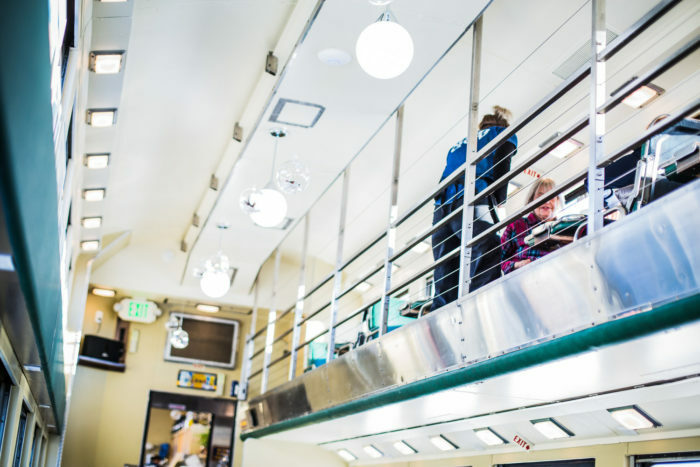 The new, contemporary light fixtures, and old gleaming silver of the interior of the railcars, create a fantastic marriage of vintage and modern vibes. 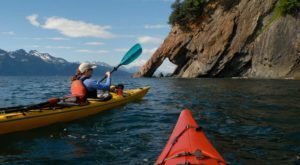 Surrounded by Alaska's history, this is a great place to pass the time with friends and family. Whistle Hill is already building a reputation for some fantastic food! Reviews are overwhelmingly positive about their amazing and unique waffle selections. 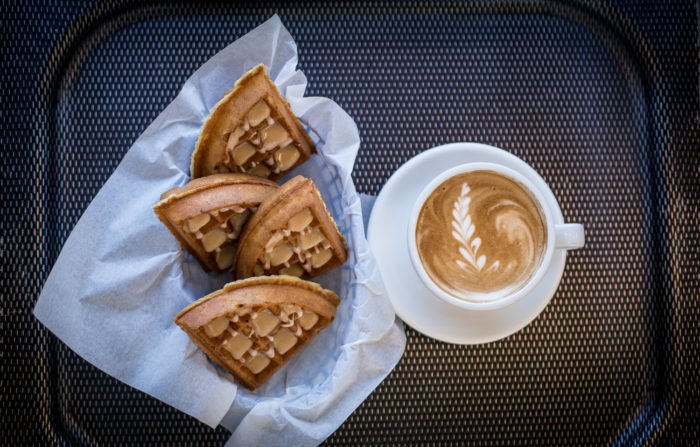 With a small menu featuring sweet waffles like the Maple Tap, or savory waffles like the Mother Clucker, there's definitely something for everyone's taste buds here. There is even a rotating waffle special each month! Don't forget to ask about their gluten free waffles. [email protected] features drink selections like the Northern Lights Latte, Alaskan Chai, or the Conductor's Cappuccino. 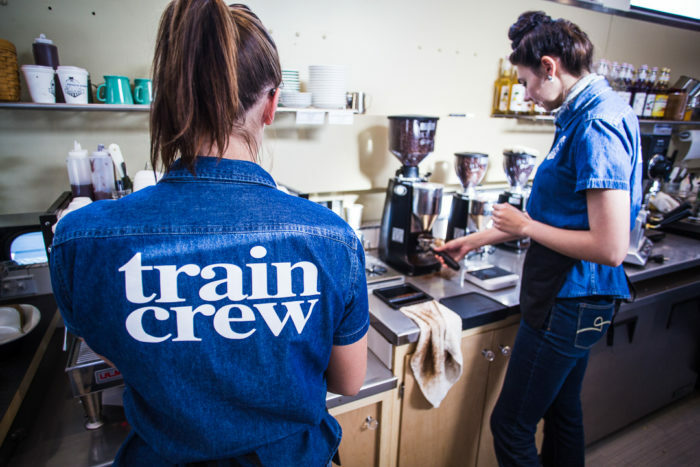 They take their love of trains, coffee, and Alaska seriously! 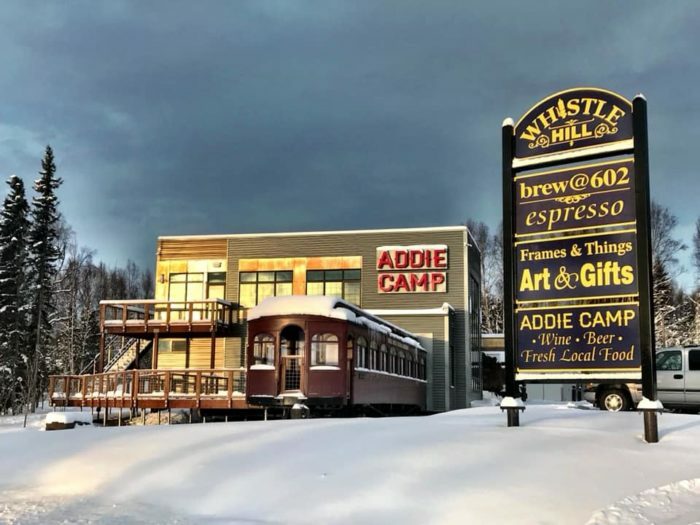 The newest addition to Whistle Hill is a restaurant called Addie Camp, named after their 104 year old vintage rail car. This car will be additional seating for the featured restaurant inside the new building. 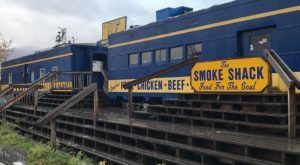 The restaurant will also offer a second renovated railcar as a very cool outdoor patio. The building offers two stories of views, a beer and wine bar, and local, fresh food served gourmet casual. This restaurant is slated to open soon, this December of 2018! 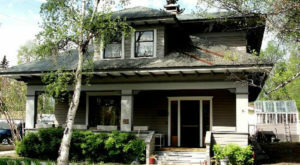 These two buildings that make up Whistle Hill, Addie Camp and [email protected], are also joined by a third venture, Fresh365. Fresh365 is a great indoor hydroponic space that grows fresh veggies year round. There's also a Tesla charge station located on the property! 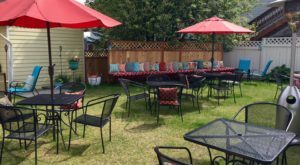 You can find all these fabulous businesses at 43550 Whistle Hill Loop, Soldotna, AK 99669. Or call to make your reservations for Addie Camp at (907) 262-0602. Need more information? Their official website can help with any further questions you may have! 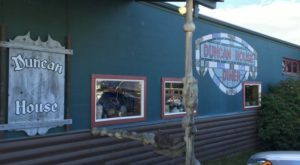 Looking for something else to do while in Soldotna? 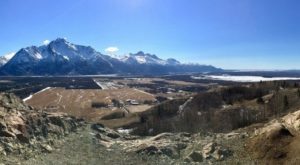 Check out One Small Town In Alaska Where You’ll Never Want to Sleep for inspiration!